Tesla Motors says it's adding a new "Ludicrous Mode" to high-performance versions of its Model S electric car. 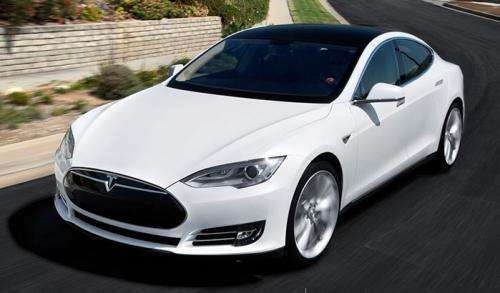 CEO Elon Musk said Friday that the upgrade will cost $10,000 for new buyers of the Model S, whose base price is $70,000. Current Model S owners will be able to get the upgrade for $5,000 plus the cost of installation in the next six months. It will allow the car to go from zero to 60 miles per hour in 2.8 seconds. Tesla had referred to a previous package as "Insane Mode." Musk also said Tesla will upgrade the battery pack of the Model S to improve its range, something it plans to do every year. The upgrade will cost about $3,000, and it will give the car a range of about 300 miles on the highway on a single battery charge, about 15 miles more than the current version. The company also announced a rear-wheel drive version of the Model S that will cost about $5,000 less than the standard model. Earlier this month Tesla said its deliveries grew 52 percent to more than 11,000 in the second quarter. Shares of the Palo Alto, California-based company rose $7.98, or 3 percent, to close at $274.66 on Friday. The name "ludicrous mode" comes from Mel Brooks' 1987 "Star Wars" spoof "Spaceballs," where a spaceship is able to surpass light speed - traveling so fast it turns plaid. Tesla said the next version of its Roadster car will have a "maximum plaid" speed, but that Roadster won't be available for another four years. In ten years, those with polluting internal combustion engines may find themselves as pariahs. You mean like you are here today? Much respect for their nod to "Spaceballs". When I saw "ludicrous" in the title I was thinking it HAD to be referring to the movie. No, docile, when we use electric transportation, we export our pollution to the power sources, where they are more concentrated and easier to handle, or in the case of alternative energy, . . there isn't any. Not so docile after all.........the 'Fresh air Otto Cycle' is about 5 percent efficient, the rest wasted as heat and chemical binding energy for pollutants. Most power plants use a cycle about 60 percent efficient in chemical plants that predominate the power industry, and plug in hybrids tap into that efficiency. It is mathematically certain that plug in hybrids are way more efficient than ordinary gas engines that use the otto cycle predominantly. Electric charge cycles have their own efficiency as well, but this is in the 90+ percent range. You are due here to eat a little crow, young man..or woman as the case may be. The great thing about electric cars is that we can change the original power source (the generator of the electricity) without touching the car at all. So as cleaner power sources come online, the car automatically reaps those benefits. From an engineering standpoint, the electric car seems to be a clear winner (if you can tolerate the range). If/when the range issue is resolved, I think it would be hard to justify purchasing gas powered cars.